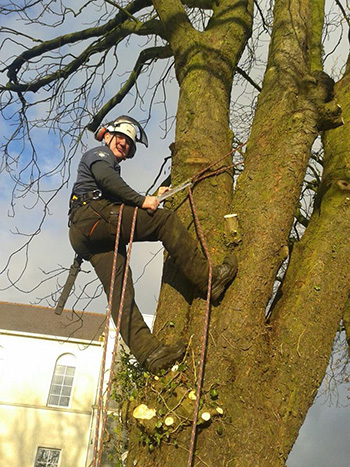 Higher level arboricultural qualifications are usually studied full or part time through a college or university. Usually classroom based, they are commonly assessed through formal exams or externally moderated coursework. These qualifications tend to be delivered within a college environment and provide a mix of hands-on practical learning alongside applied classroom-based theory. They prepare people for employment within the industry at various levels, or for progression onto higher level qualifications (Academic). They offer a mix of practice and theory and often include work experience. Some cover a broad range of content whilst others can be specific to a particular task or activity. They are commonly assessed by your tutor as you progress through the course, through practical assessment and coursework. utility arboriculture qualifications for work near power lines and electrical equipment. It is a legal requirement that anyone working must be adequately trained and competent, and in some cases, such as using chainsaws, you must pass a competence-based test/qualification. Apprenticeships are government-funded training programmes aimed primarily at young people and reflect what employees are expected to do in a particular job. They offer the opportunity to ‘earn and learn’ – to learn the skills needed through a combination of on- and off-the-job training whilst being employed. Apprentices usually undertake a Diploma in Work-based Trees and Timber, along with further qualifications in English and mathematics. www.lantra.co.uk/apprenticeships or email apprenticeships@lantra.co.uk or telephone 02476 696996. Training is available from a number of sources including land-based colleges and independent trainers.